Any brand using social media must work hard to stand out in the increasingly-crowded field. Now that it’s almost a prerequisite for companies to participate in some form of social media marketing, having a strategy and a clear perspective is more important than ever. One key to putting that unique stamp on your brand’s social profiles is to understand specifically what your industry can leverage from these tools. Universities have an unusual set of needs in the social world. They are selling an education instead of a physical product, and their audiences range from prospective applicants, to current students, to successful alumni. Since colleges are not traditional brands, they can pull inspiration from the general business world’s use of social as well as from other education-focused accounts. 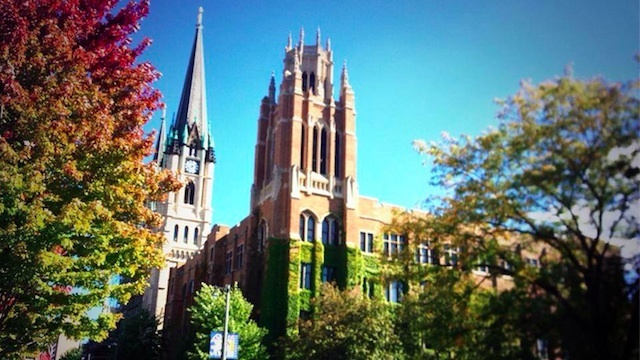 Marquette University is a school that has done an excellent job of walking that line. It’s noteworthy among colleges for the number of networks where it is active, spanning from Facebook, to Foursquare, to Flickr. But Marquette has also taken very creative steps to give extra flavor and personality to its social strategy. Here’s how the school makes it happen. Timothy Cigelske is the director of social media in Marquette’s Office of Marketing and Communication. He’s responsible for maintaining the official university accounts, but that’s just a portion of the school’s social content. “I’d estimate we have about 100 regular managers of university-affiliated social media,” he said. Those are accounts centered on specific departments and are controlled by faculty, staff, or students. Marquette doesn’t have a single overriding aim for being on social media. “A university is so many different things to so many different audiences,” Cigelske said. “It depends on the department, time of year, and so on.” However, he did break down the school’s goals into three broad topics: awareness for prospective students, support for current students, and engagement among alumni. 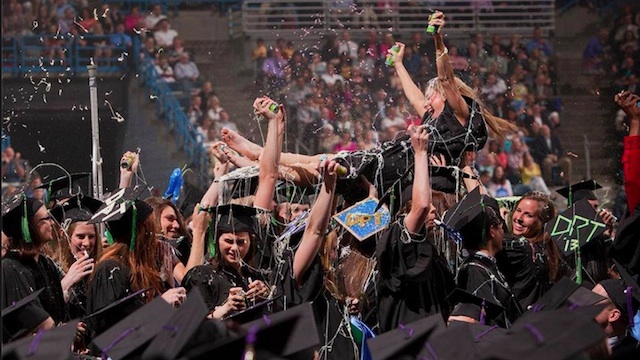 The breadth of Marquette’s social presence might seem that the school joins every new network on the horizon, but Cigelske and his team consider their choices carefully. “Is it doing something innovative or different that can’t be easily duplicated on another medium?” he asked. “Does it have critical mass or is it growing? Is our audience there?” Those are the top considerations the school uses before deciding on which social platforms to explore. That’s just what they did. 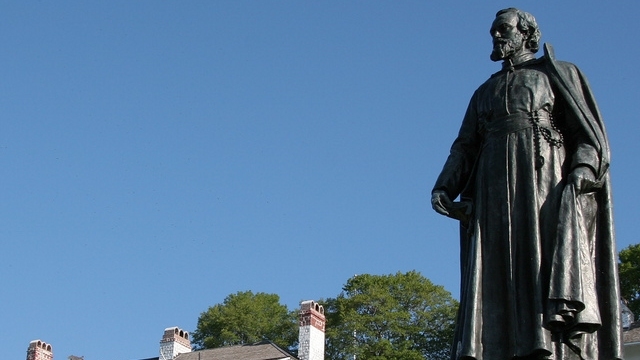 “Father Marquette is our official ‘explorer’ who visits places around campus and Milwaukee, and shares his travels throughout social media,” he said. That was a natural match for Foursquare, where the school’s namesake shared notes and tips about notable locations on and off campus. From that start on Foursquare, the team added Father Marquette profiles to many networks as a supplement to the formal university accounts, mostly focusing on local angles. 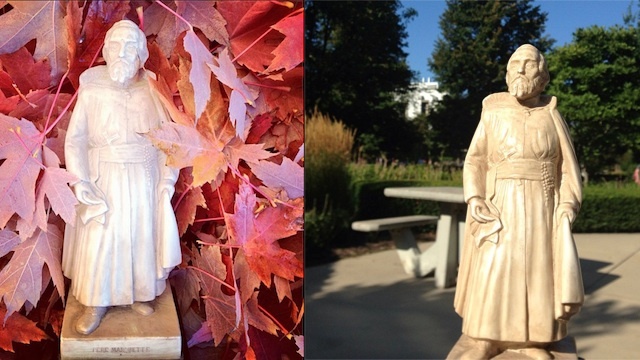 On visual-focused networks such as Instagram, Vine, and Snapchat, the Father Marquette accounts share unique looks at life and scenery on campus. His Twitter account is chatty, with interactions with students and a developing rivalry with other college mascots. Part of why the Father Marquette profiles are so successful is that they allow the school to pursue those different voices. The official accounts are very approachable and appealing, but Father Marquette has a lighter and more fun attitude. Cigelske said that the audiences for the two branches of its social presence are the same. The other numbers back the success of launching profiles for Father Marquette. His account has 900 followers on Instagram, and small but dedicated audiences on Foursquare, Vine, and Snapchat. Twitter is his most popular network with more than 2,100 followers. Even though the Father Marquette profiles are not the official voice for the university, they support the school’s social media goals. By creating another outlet to dialog about student life and interact with its community members, Father Marquette serves Marquette’s formal needs while conveying its personality. That balance of character and marketing, support, and engagement is often a goal for brands of all stripes.